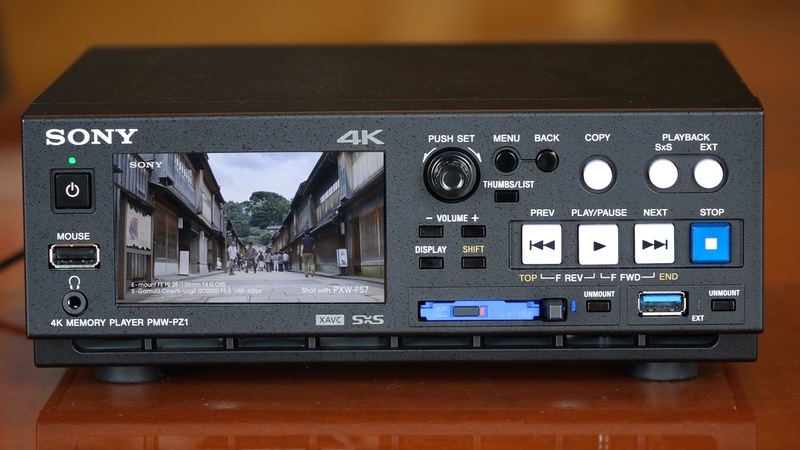 Newsshooter got an exclusive look at Sony’s new PMW-PZ1 4K memory player at Sony’s headquarters in New York Tuesday, March 10, 2015. The playback deck will take SxS cards from your 4K shoots on an F55 (and most other card-based cameras) and not only feed them out via 3G SDI ports but also back up the footage to an external USB-3 hard drive. It will also take XQD and SD cards via adapters. Sony’s Marketing Manager for Large Sensor Acquisition, Peter Crithary, walks us through the features of the under-$3500 deck, which will be available in June. It will be useful for playback on digital signage, ingest to NLE’s and broadcast feeds and for dumping your cards on set. Unfortunately, it doesn’t record – only playback or copy/transfer to other media. A New York photojournalist who has contributed to several Pulitzer and Emmy-winning stories over a long career at the Miami Herald and Newsday.